Why Are We Introducing the Lightning Web Component Model? Explain the Lightning Web Components programming model. List the benefits of using Lightning web components. Find what you need to get started developing Lightning web components. The Lightning Web Components programming model is focused on both the developer and user experience. Because we’ve opened the door to existing technologies, you use the skill you’ve developed outside of Salesforce to build more performant Lightning web components. All of this is available to you without giving up what you’ve already accomplished with Aura components. Did you notice a capitalization difference in that last paragraph? If so, you have a keen eye. We capitalize all the words when we refer to the Lightning Web Components model. We only capitalize the first word when we refer to the components, themselves, as Lightning web components. Also, the Lightning Components model you’ve been using is now called the Aura Components model and creates Aura components. You should have a basic understanding of Salesforce DX projects and Salesforce CLI. You’ll also need to use a properly configured org in your Trailhead account. You can learn about all of this by completing Quick Start: Lightning Web Components. You also need to enable Dev Hub from the Setup menu in your org. Modern browsers are based on web standards, and evolving standards are constantly improving what browsers can present to a user. We want you to be able to take advantage of that. Find solutions in common places on the web. Find developers with necessary skills and experience. Use other developers’ experiences (even on other platforms). Utilize full encapsulation so components are more versatile. And it’s not like web components are new. In fact, browsers have been creating these for years. Examples include <select>, <video>, <input> and any tag that serves as more than a container. These elements are actually the equivalent of web components. Our goal is to bring that level of integration to our model. HTML provides the structure for your component. CSS provides the look, feel, and animation for your component. Those are the essential pieces of your component. Here’s a very simple Lightning web component that displays “Hello World” in an input field. The template tag is a fundamental building block of a component’s HTML. It allows you to store pieces of HTML. We get into the import statement and class declaration details later, too. Let’s head over to the playground. We’ve created a space where you can try out your components, tinker with them, and see instant results. When you first get there, you see an example you can explore. It includes styles from the Lightning Design System CSS framework. These styles provide a look and feel consistent with Lightning Experience. It also contains some standard Lightning web components, such as lightning-combobox. Notice it has an additional main.js file, just for the purposes of displaying the component in the playground. For now, we want to test just the very basics. In the playground, click New. Congratulations! You’ve created a component. 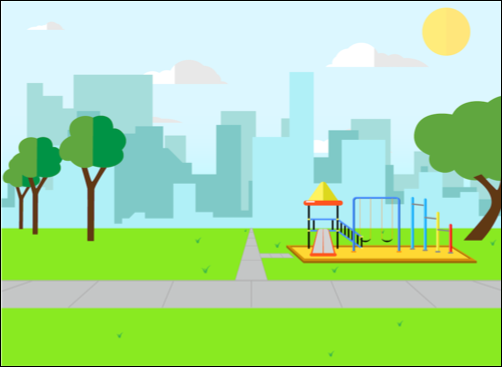 Click Save to generate a unique URL for your playground project. Keep track of the URL for your playground component in case you want to go back to it. The playground doesn’t manage your examples for you, but each time you save your project it generates a unique URL. If you go back to the initial playground page, you’ll see the default example again, and you can start a new project. Wondering if you can keep your existing Aura components? Yes you can! You can use Lightning web components without giving up your existing components. You’ll likely migrate your existing components to the Lightning Web Component model eventually, but we’re introducing Lightning web components without taking anything away from the existing support of the Aura components. Aura components and Lightning web components live well together. In fact, Aura components can contain Lightning web components (though not vice-versa). But a pure Lightning web components implementation provides full encapsulation and evolving adherence to common standards. To develop Lightning web components efficiently, use the following tools and environments. Scratch orgs are disposable Salesforce orgs to support development and testing. Dev Hub is a feature that manages your scratch orgs. Both are part of the Salesforce DX tool set. Salesforce DX is an integrated set of development tools built and supported by Salesforce. The Salesforce CLI provides a quick way to run operations for creating and configuring scratch orgs, and also for deploying components. This is also part of the Salesforce DX tool set. The reference for both Aura and Lightning web components and how to use them is found at https://developer.salesforce.com/docs/component-library/overview/components. You can view the library through your org’s instance, too, at http://<instance>.lightning.force.com/docs/component-library. By viewing the library through your instance, you see only the correct version for your org. And, as you create your own custom components, they appear in the library too. We share extensions, samples, and more through GitHub repos. Get a GitHub account to make sure you can take advantage of these offerings. We’ve focused on Visual Studio as a development tool, providing an integrated environment for you to build your components. The Salesforce extension to Visual Studio provides code-hinting, lint warnings, and built-in commands: https://marketplace.visualstudio.com/items?itemName=salesforce.salesforcedx-vscode-lwc. We provide a GitHub repo to help you see how Lightning web components work. You can clone, tinker, and publish this mix of samples to your own scratch org and see them in action. Get it at https://github.com/trailheadapps/lwc-recipes. This GitHub repo is another great way to see how Lightning web components work. The e-bikes demo is an end-to-end implementation of Lightning web components to create an app. Try this example in your own scratch org. Get it at https://github.com/trailheadapps/ebikes-lwc. Access data and metadata from Salesforce via Lightning Data Service. Base Lightning components that work with data are built on LDS. Customize your own components to take advantage of LDS caching, change-tracking, performance, and more. Lightning web components that belong to one namespace are secure from components in a different namespace through Security with Lightning Locker. Lightning Locker also promotes best practices that improve the supportability of your code by only allowing access to supported APIs and eliminating access to nonpublished framework internals.